This week has been a rough one in the Stewart household. Jacob came home from work on Monday and went right to bed. He started running a temperature and a couple of days later he was diagnosed with Influenza B. When the doc let us know that it was officially the flu, my first question was, "Is it worth it for me to go get my flu shot right now?" He said that yes, some protection was better than nothing. The flu vaccine begins to work immediately, but you don't get full immunity until about 2 weeks later. I figured that if Jacob got it then it was going around and even if I was able to not get sick from him I'd better get a flu shot, just in case. So, when I picked up his medicine (a couple of special cough syrups and a nasal spray) I got my shot. The pharmacist was like, "You know you don't get full immunity for 2 weeks, right?" And I was like "Yep." It was the same story at the kids pediatrician, where I took them for their shots that afternoon. Well, I took 2/3 of them. When I arrived at the school to pick up Benjamin and Levi, Benjamin was in the nurse's office and he left his lunch in the trash can. So, by the time the afternoon rolled around I had one husband with the flu and one third-grader with a stomach bug. The school nurse had told me not to bring him to school the next day (and I believe it is always true that you need to have been symptom-free for 24 hours before leaving home). There would've been no question in my mind, because he was quite ill until the late evening. Once Benjamin's stomach was feeling a little better, he was ready to do something. Happily, I had something in mind. My mom had texted me earlier in the day, asking if there was anything she could do to help. Since she lives more than 2,000 miles away, the only thing I could think of to ask for was her Audible password. She was happy to oblige. While we were in AZ for the holidays I started thinking about how I wanted Benjamin to listen to The Wee Free Men by Terry Pratchett. It's such a fantastic audiobook. And I had actually checked it out from the library a couple of days before, We had started listening in the car, but the closest thing to a CD player we have these days is a CD drive and I wasn't about to haul the desktop into his bedroom. I knew Jacob was using his laptop for his own sick day entertainment (and that it surely had flu virus all over by now). So I downloaded the Audible app on my phone really quick and signed in with my mom's account. When I told him all of his fantastic options, I can't say I'm surprised that he picked Alcatraz and the Knights of Crystallia by Brandon Sanderson. He loves the series. No matter, we have plenty of time for Tiffany Aching and the crazy blue fairies. Benjamin enjoyed listening for a good while and I think it really helped him pass the time. I'm definitely going to have to remember audiobooks next time I get sick myself. I don't know about you but for me there is always that terrible time when you can't really get out of bed, you don't want to have to hold up a book, and you feel like time is passing so slowly. Thankfully Benjamin is feeling better now, although Jacob still has some recovering to do. I really enjoy audiobooks when I'm driving, and also sometimes when I'm cleaning. Back in 2007 I listened to Twilight on audiobook, and I cleaned the whole house and started doing push-ups and sit-ups just so I could keep it on. I feel like I have to be doing something while I'm listening, I guess. While I definitely prefer the print versions of some books (Twilight included) The Tiffany Aching books are ones I far prefer on audio. I also started Flo Gibson's reading of The Jungle Book and had to return it to the library, back in Georgia, so I've been itching to finish that one. And I'll be keeping my eye on the winners of the Odyssey award, which is like the Newbery award for audiobooks. What is your experience with audiobooks? Also, how do you like to deal with sick days? I LOVE audiobooks. I've been a member of Audible for... at least 10 years. I listen when I'm exercising, driving (my myself, anyway), folding laundry, cooking, etc... I've only recently introduced audiobooks to my daughter. But luckily I have a ton of good ones stored away on my Audible account from my own years of listening. These days I mostly listen to adult mysteries, because those are longer than kids' books, and a better value for my Audible credits. Hope your family is all well soon! Thanks, Jen! I hope so, too. My brother-in-law listened to the whole Wheel of Time series while commuting, and if you want to talk about the length of a book, those are beastly long! What adult mysteries do you recommend? Depends on what you like. I read everything from a few historical cozies through various police procedurals to thrillers. I especially favor the Maisie Dobbs series by Jacqueline Winspear, the Chief Inspector Gamache series by Louise Penny, and the Joe Pickett series by CJ Box. 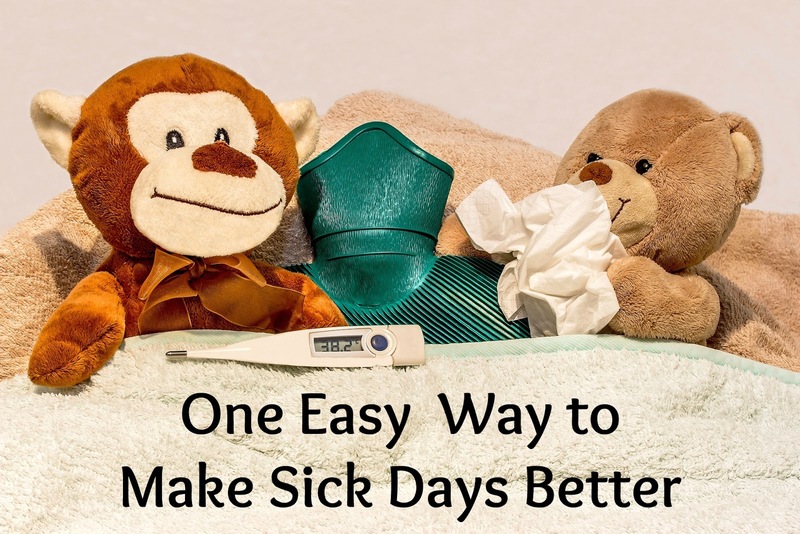 Our whole family was leveled by a stomach bug one weekend not too long ago. All six of us were throwing up and feeling horrible for two days straight. It was BAD. I spent the night on the bathroom floor listening to an audio book by my favorite author, Georgette Heyer. It certainly helped pass the torturous, long hours. Yikes! Not a weekend I hope to ever relive! In healthier, more cheerful times, I do listen to audiobooks a lot. :) Our library is connected to Hoopla, so I can check out a great variety of audiobooks for free on my iPad. I love listening while cooking dinner and doing dishes. Sometimes I start scrubbing cupboard doors and mopping just so I can keep listening too. :) We just started listening to Little House in the Big Woods on CD (from the library) in the car. The kids are totally engrossed by it. We grab the next Harry Potter from the library whenever there's an extra-long drive ahead of us. Audiobooks are so great! My kids love audiobooks! We have a CD player (I know, we're old school) and they usually have 2-3 books on CD checked out from the library. I haven't gotten into them as much for myself, but I want to listen to more. I have to echo your thoughts about getting through sickness with them, though. In December I had morning sickness that lasted all day and just couldn't bring myself to read a book. Then at night I would be so tired that even holding my phone and reading in bed seemed like too much effort. So I listened to audiobooks (in bed, in the dark) until I started dozing off each night. It was just what I needed at the time. One thing holding me back is the time commitment. I can get through the books so much faster when I just read them to myself. The two novels I listened to in December were 12 hours and 9 hours long. That's a big chunk of time! The Redwall series is very enjoyable on audio. My boys love it. And The Underland Chronicles.